In case you did not know, the Unlocked version of the HTC 10 is compatible with T-Mobile's Wi-Fi Calling feature and of course other carriers, which support it. This is thanks to Google baking this feature into Android which also explains why Nexus devices after the Nexus 6 are also capable of native Wi-Fi calling for particular carriers. Popup lets you know when you've made a Wi-Fi call. Phone calls on the HTC 10 sounded clear, but not loud enough for our liking. 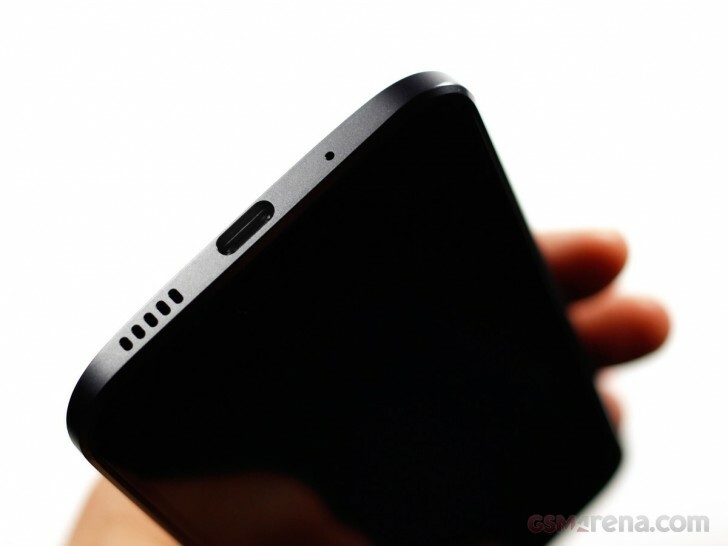 HTC should tweak the sound of the earpiece to allow more volume through the earpiece during a phone call. It feels like the current max volume is like 65%-70% of what it could/should be. The HTC 10's dialer is mostly unchanged from the One M9. There are tabs at the top of the dialer which lets you choose between Call History, Phone (to dial out), Favorites, People, and Groups. These tabs can be rearranged or hidden from the Dialer app by accessing the Call settings. This time around, HTC decided to tweak the BoomSound setup a bit and designed the HTC 10 with two different kinds of speakers. Rather than having two front-facing speakers, one that mirrors the other, HTC decided to move the lower speaker from under the display to the bottom of the phone, right next to the charger port. Moving the lower speaker to the bottom made it easier for HTC to put capacitive buttons and a fingerprint scanner on the chin of the phone right below the screen. This helps to keep the lower bezel's size down and also gives a good aesthetic balance to the speaker above. The lower speaker's position allow us to hear the device ring in cases where the phone might be face-down or in a jeans pocket. Good thing too, since the HTC 10 scored the lowest in our loudness test between the LG G5 and the Galaxy S7. This is the case with phones nowadays as dual speakers are meant more for the listening experience rather than just being loud. It's safe to say you can't expect to buy this phone to listen to music while doing other things like cooking, showering, or washing your car. These scenarios might demand something louder like a Bluetooth speaker. The front facing speaker also doubles as the earpiece, and while this speaker is designed for mids and highs, the bottom firing speaker is tuned more for mids to lows and bass. Audio sounds crisp and clear with no distortion, although, lower bass sounds are more "plop" than "punch", but you can't expect much more from two little speakers on a smartphone. Anytime you play some kind of audio on the HTC 10, a notification displays the current audio mode, of which there are two to choose from. The phone comes with "Theater mode" enabled by default, and there is also a "Music mode". Theater mode is best used when watching a video or playing a game, or listening to music while you use your phone. Basically it's best for any time you are actively using your phone. Music mode is more for playing music and setting it aside while you do something else. Whichever mode ou choose, sound quality on the BoomSound speakers definitely does not disappoint, but the audio in the Theater setting feels more immersive. The HTC 10 is yet another case of the Taiwanese company getting the audio output just right. The flagship delivered an impressive output when used with an active external amplifier, getting top marks for clarity and garnishing them with nicely high volume levels. Degradation caused by headphones is minimal too with a minor hike in stereo crosstalk being the only notable change. Volume remained very high and clarity was still great.